Nei dintorni di Potenza: Visite guidate a Matera, Vulture, Dolomiti, Sellata. Potenza. 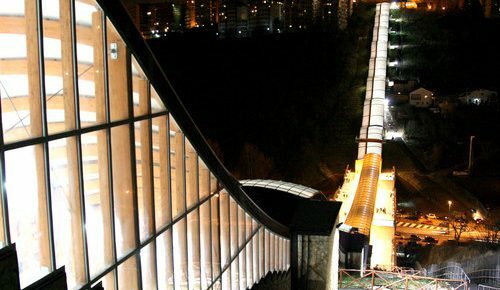 History, sports, shopping and worldliness will accompany you during your stay in the city, whether you are here on business, for a short trip or a business trip. You can choose from many scattered locals of the suburbs and the city center to savor unique dishes of Potenza kitchen, enjoy a good wine, listen to music. 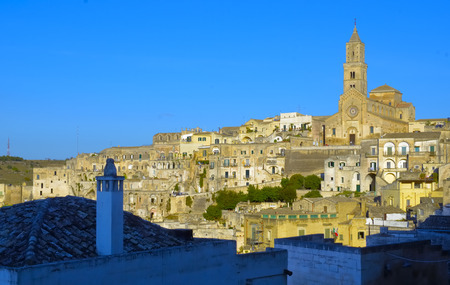 Matera, the Stone City UNESCO World Heritage Site and it is one of the oldest cities in the world whose territory contains evidence of human settlement from the Palaeolithic and without interruption to the present day. 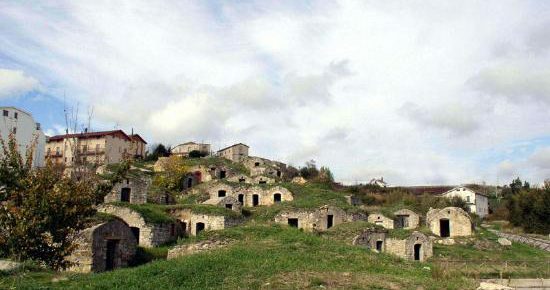 Medieval city, located on the volcanic territory to the north slopes of Mount Vulture. Melfi was inhabited since the Neolithic period and suffered the Roman influence, as it is confirmed by the existence of some ruins of a Roman villa with mosaics. 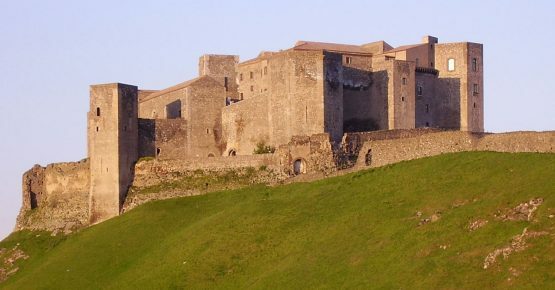 Paese di circa 4000 abitanti ed è situato ad est del capoluogo di regione. Il suo nome deriva da due parole Pietra perché il paese sarebbe stato fondato sulla roccia e Galla dal greco “gal” pietra bianca, chiara, o dal tardo latino “gallandus”, cioè fortificato. Arabs settled permanently in Tricarico between the IX and X centuries having a profound effect in the urban fabric, part of which was built with the typical characteristics of the kasbah. Both Rabatà, residential district, and the Saracen show evident traces of Arab unity. 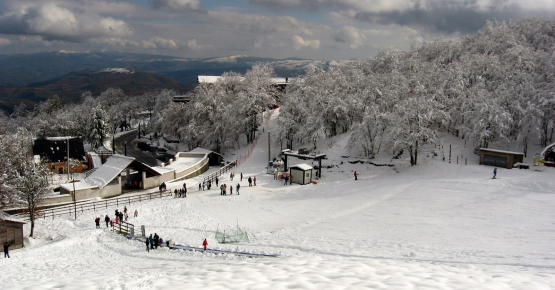 A few kilometers from Potenza is situated a ski area, Sellata-Arioso which extends in a rich landscape of beech trees, in the heart of Basilicata, a few kilometers from the capital city. Nestled in the woods of the National Park of the Appennino Lucano it has a two-seater chair lift to the summit of Monte Pierfaone, 1737 m high, and serves two beautiful tracks, one red and one hard. 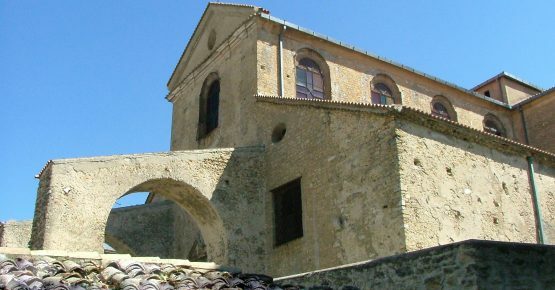 Pomeriggio: Museo Diocesano, Cripta di S. Margherita. Mattina: visita in una delle cantine di Rionero in Vulture e successiva visita della città di Venosa (parco archeologico, Chiesa della Santissima Trinità, Castello Aragonese). Pranzo a Venosa. Pomeriggio: visita alle Catacombe ebraiche e alla Cattedrale. Mattina: visita al maniero di Castel Lagopesole, pranzo a Monticchio. Pomeriggio: visita alla Badia e ai laghi di Monticchio. Morning: visit to the Federician Castle; lunch in Castel Lagopesole. Afternoon: visit to Castel Lagopesole manor.. Morning: Norman-Swabian-Angevin Castle, Norman Cathedral and Bell tower, lunch in Melfi. Afternoon: Diocesan Museum, Crypt of St. Margaret. Morning: visit to the city of Venosa (archaeological park, Holy Trinity Church, Aragonese Castle); lunch in Venosa. Afternoon: visit to the Jewish Catacombs and the Cathedral. Morning: visit to the sanctuary of S. Donato; lunch in Acerenza. Afternoon: visit to the Cathedral of Acerenza. Morning: visit to Castelmezzano; lunch in Castelmezzano. Afternoon: visit to Pietrapertosa. Chance to make the Angel Flight.. Morning: visit to the Sassi of Matera and the rock churches; lunch in Matera. Afternoon: guided tour of the crypt of the “Original Sin” and tour of the city center. Morning: visit to the Sassi of Matera and the rock churches; lunch in Matera. Afternoon: visit to Palazzo Lanfranchi (National Museum of Medieval and Modern Art and Archaeological Museum). Afternoon: Diocesan Museum, Crypt of St. Margaret. Morning: visit to the Cathedral of Acerenza; lunch in Acerenza. Afternoon: departure to Matera and hotel accommodation. Morning: visit to the Sassi of Matera and the rock churches; lunch in Matera. 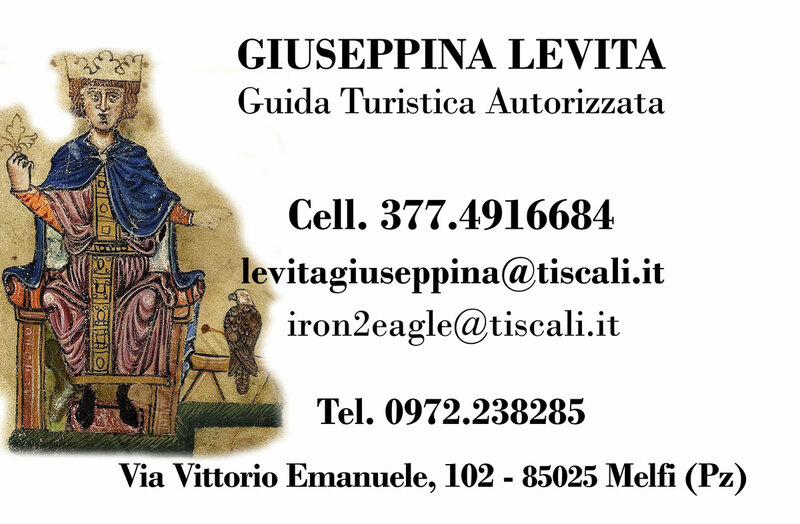 Afternoon: visit to Palazzo Lanfranchi (National Museum of Medieval and Modern Art and Archaeological Museum)..
1ˢᵗ day: Morning departure for Melfi with * Rental Vitale NCC, * guided tour of the Norman-Swabian-Anjou Castle, the Cathedral and the Norman Bell tower, lunch in Melfi. In the afternoon visit to the Diocesan Museum and at the ancient crypt of St. Margaret. 2ⁿᵈ day: morning departure for Matera with *Rental Vitale NCC, * guided tour of the Sassi of Matera and the rock churches, * lunch in Matera. In the afternoon: * guided tour of the crypt of the “Original Sin” and tour of the city center or * guided tour at Palazzo Lanfranchi (National Museum of Medieval and Modern Art and Archaeological Museum). *All services are on request, subject to availability and for a fee.